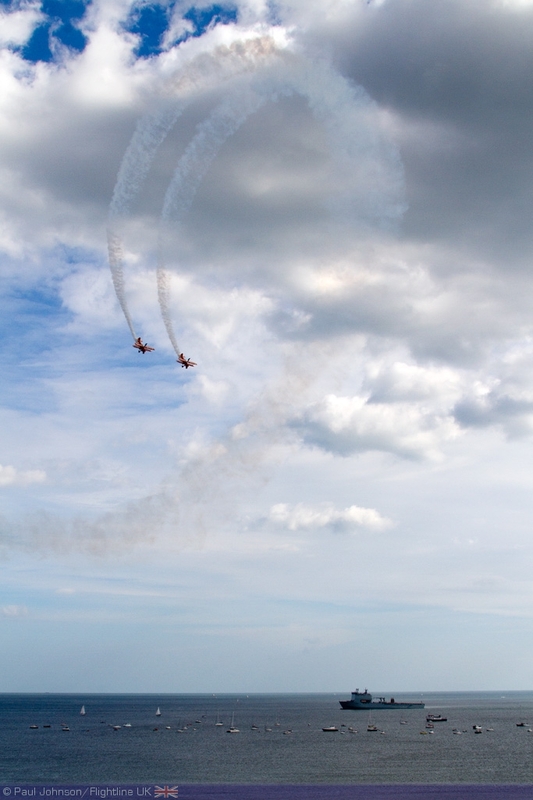 Bournemouth Air Festival is a relative newcomer to the UK Airshow season, but it has rapidly become of the biggest and most innovative event. 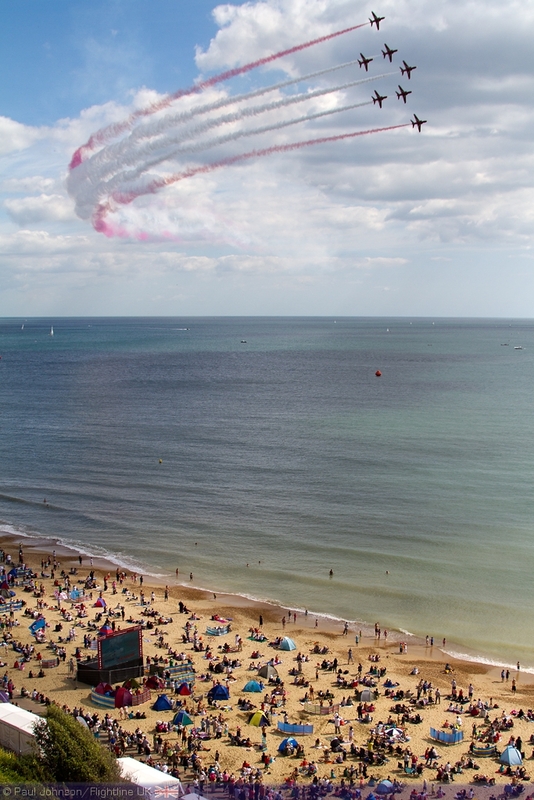 2011 was a very difficult year for Bournemouth who not only had to deal with severe flash flooding on the opening day, but also the tragic accident that befell the Red Arrows on the Saturday. 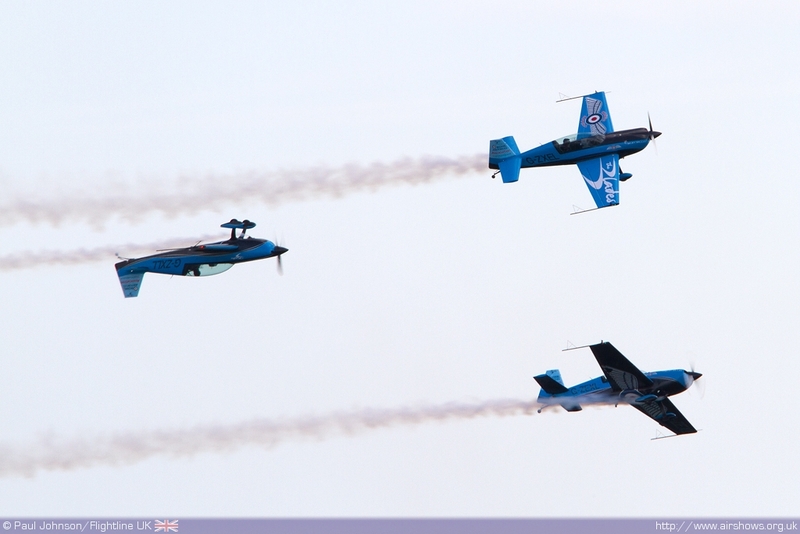 2012 saw the Air Festival back and bigger with an excellent flying programme and even more supporting events to enthrall the crowds. 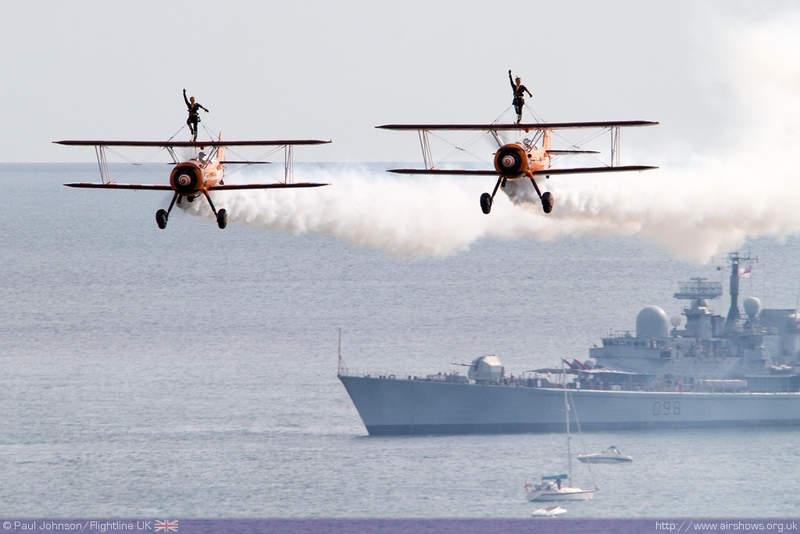 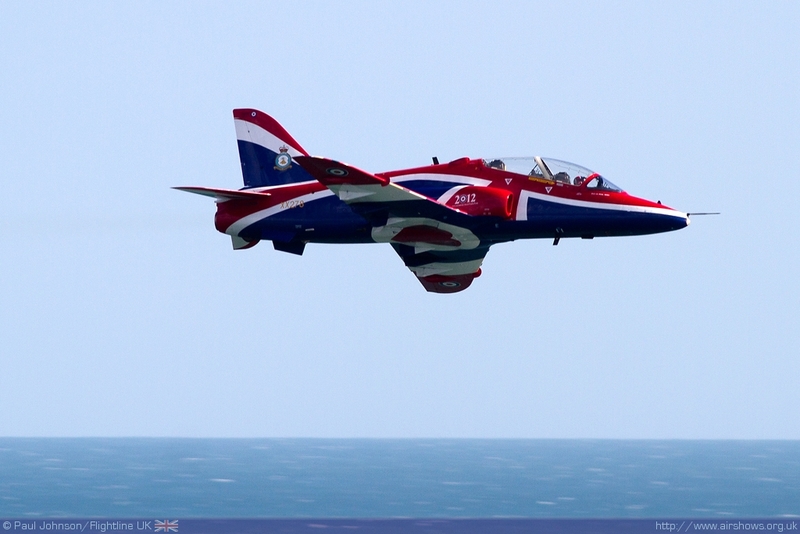 Bournemouth Air Festival is always a special event. 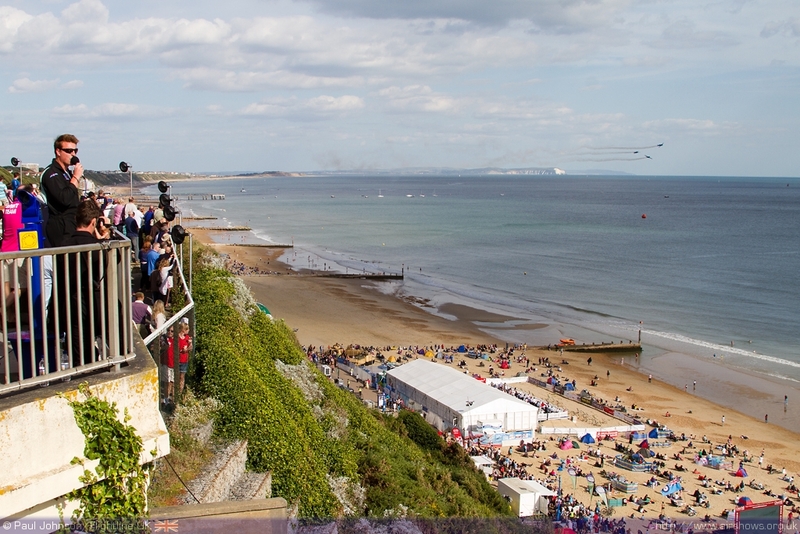 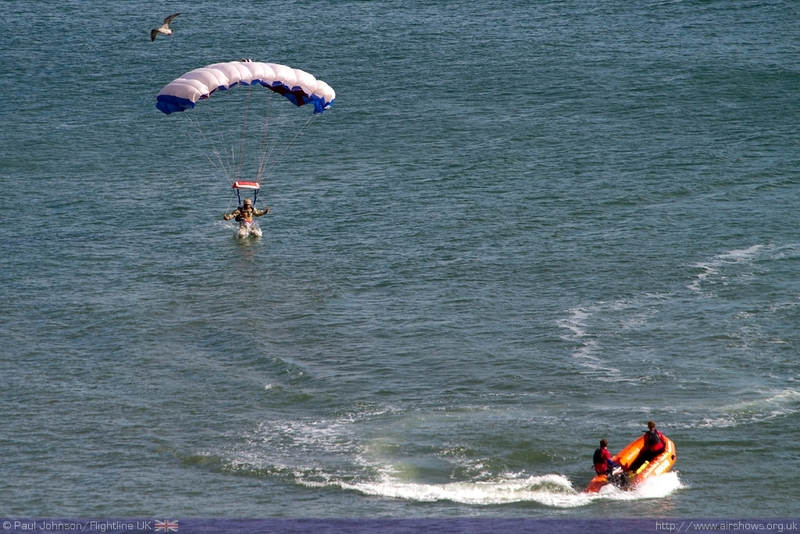 Bournemouth seafront is a superb venue for an airshow with displays framed by the impressive topography of the Isle of Wight and Isle of Purbeck coupled with cliff top promenade and sandy beaches to view the flying from. 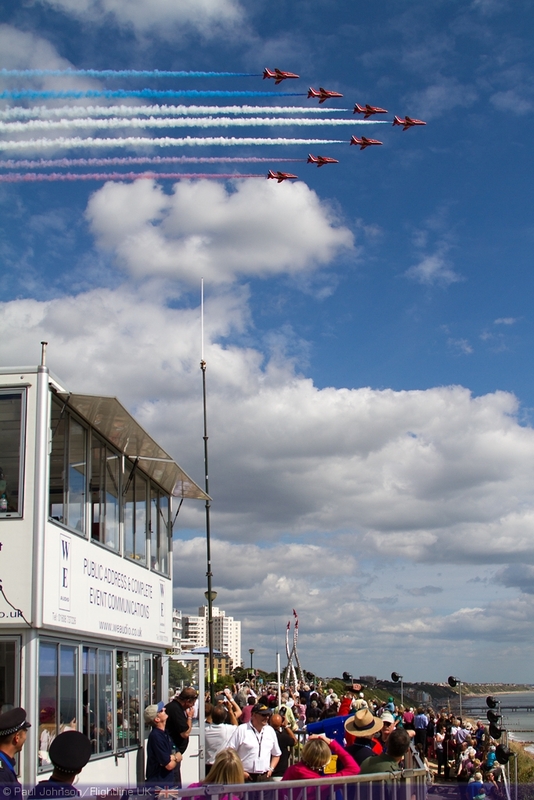 The event is also much more than just flying displays with plenty of other attractions held around Bournemouth to keep tourists entertained. 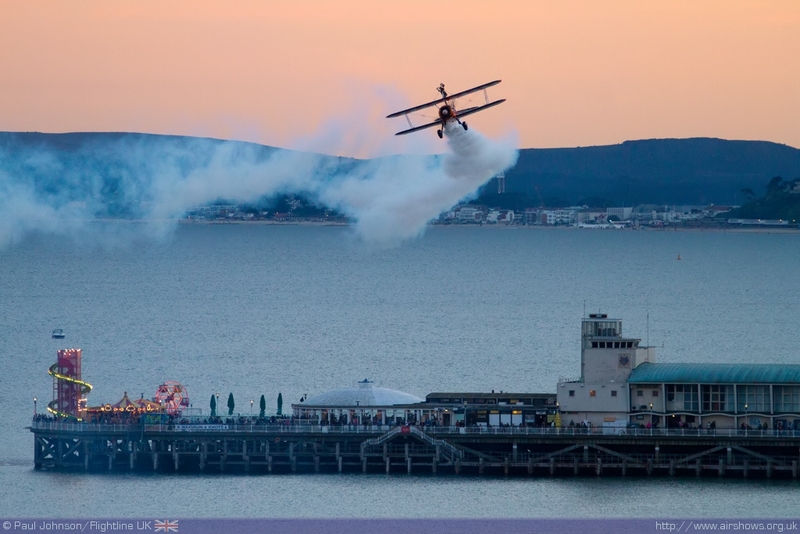 2012 saw the event build on the success of the Night Air flying displays and adding in extra fireworks displays and major concerts by Boscombe and Bournemouth Piers. 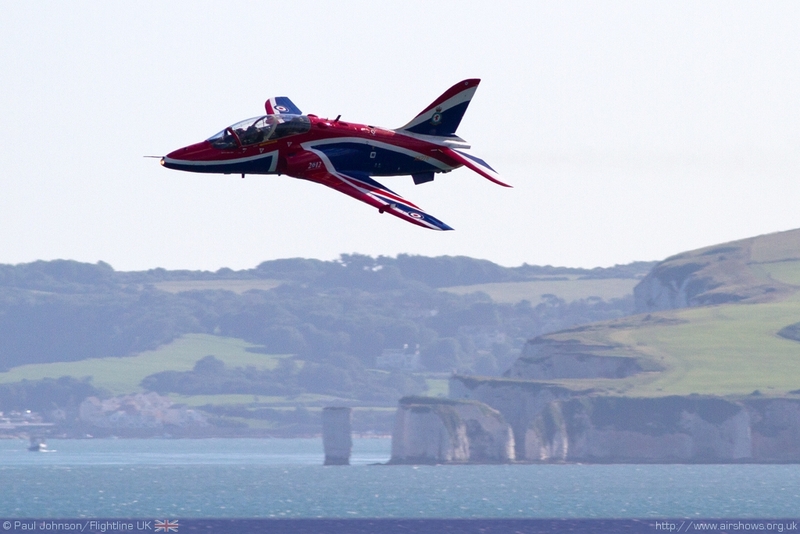 For many though the 2011 Air Festival will be best remembered for the tragic loss of Flt Lt Jon Egging when his Red Arrows jet crashed during the team’s recovery to Bournemouth Airport after their display. 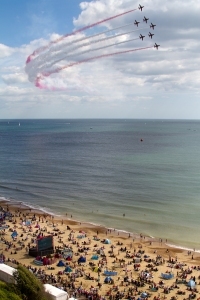 There is now a huge emotional link between the Red Arrows in Bournemouth perhaps best displayed by a new memorial sculpture which was unveiled on the day before the Air Festival. 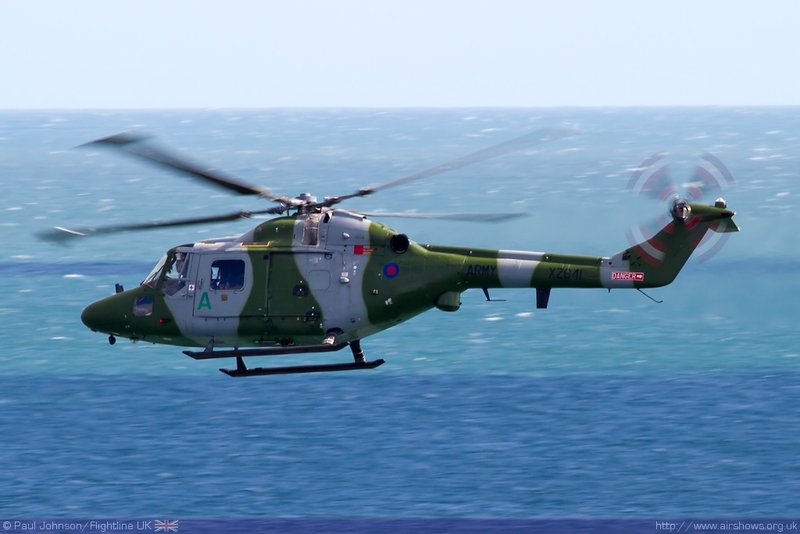 Jon’s wife, Dr Emma Egging was instrumental in formation of the Jon Egging Trust which held the inaugural Red Ball in Bournemouth on the Friday night to raise funds for its mission of supporting disadvantaged young people though the media of aviation. 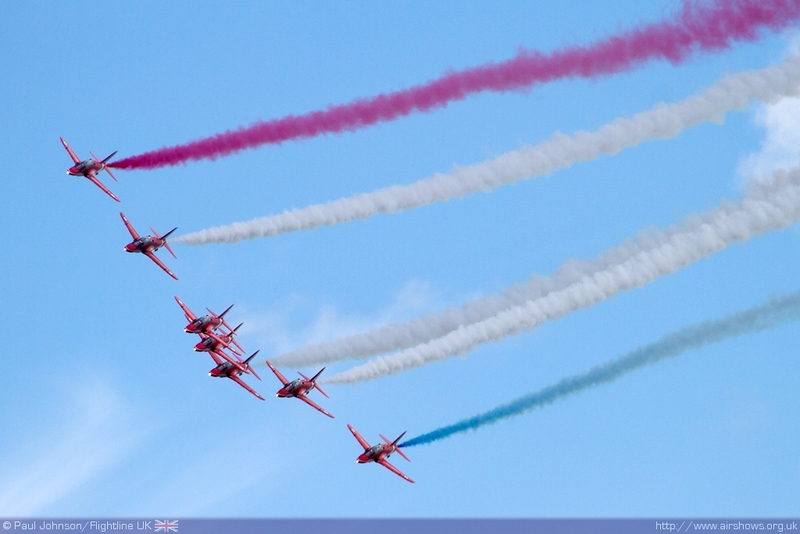 The Red Arrows opened the 2012 Air Festival flying displays on the Thursday too. 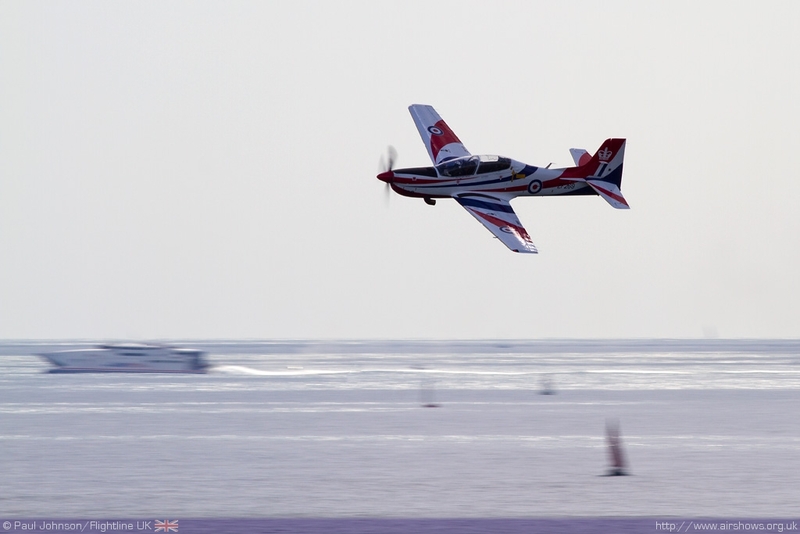 It was an emotional return for the team which received rounds of applause on each pass they made in front of the crowd! 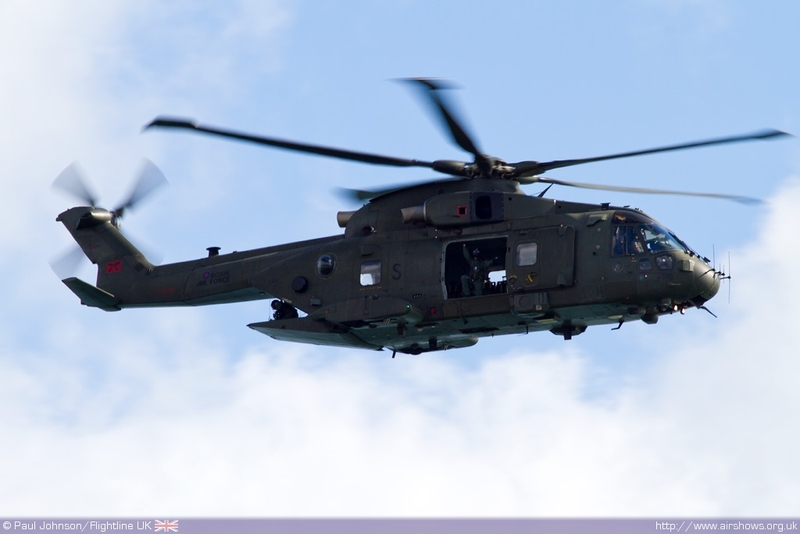 Military support for the Air Festival is always strong with most of the Royal Air Force’s displays teams at the event plus support from the Royal Navy and Army. 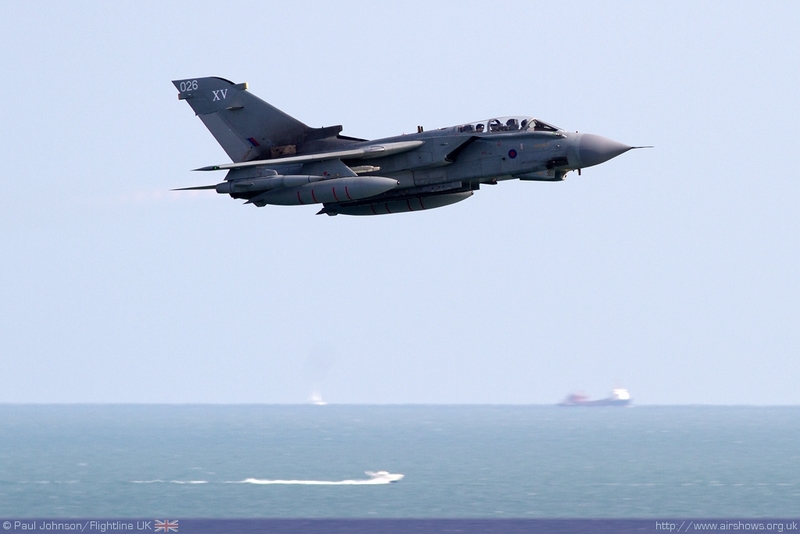 Headlining the RAF participation were the Tornado GR4 role demonstration team which provided the biggest noise of the weekend displaying the tactics used by the aircraft while on the front line in Afghanistan. 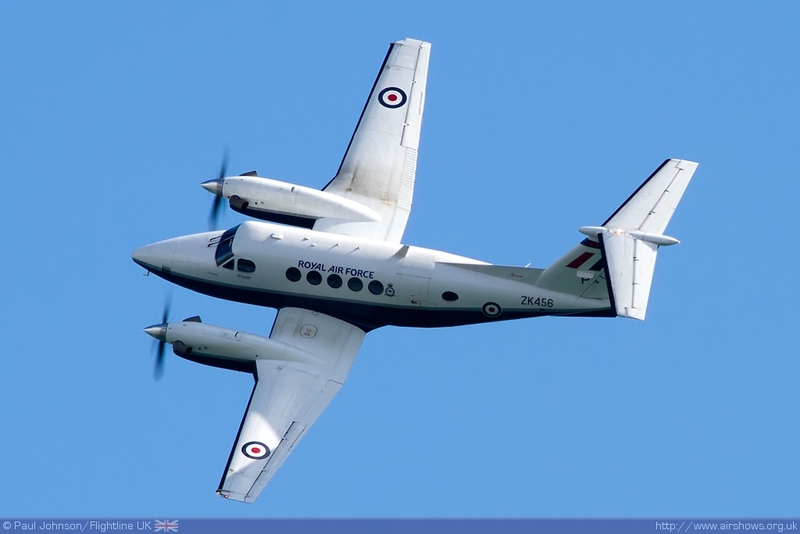 They were joined by the usual solo displays including the Tucano, Hawk and King Air as well as the Battle of Britiain Memorial Flight. 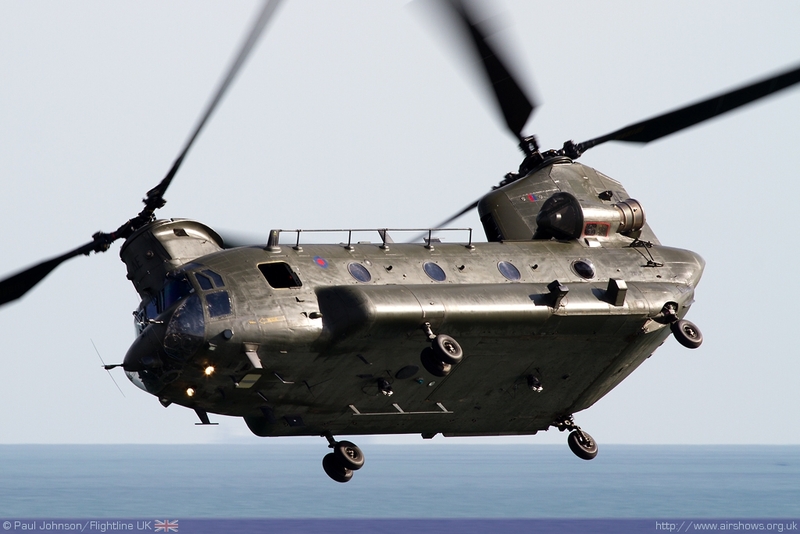 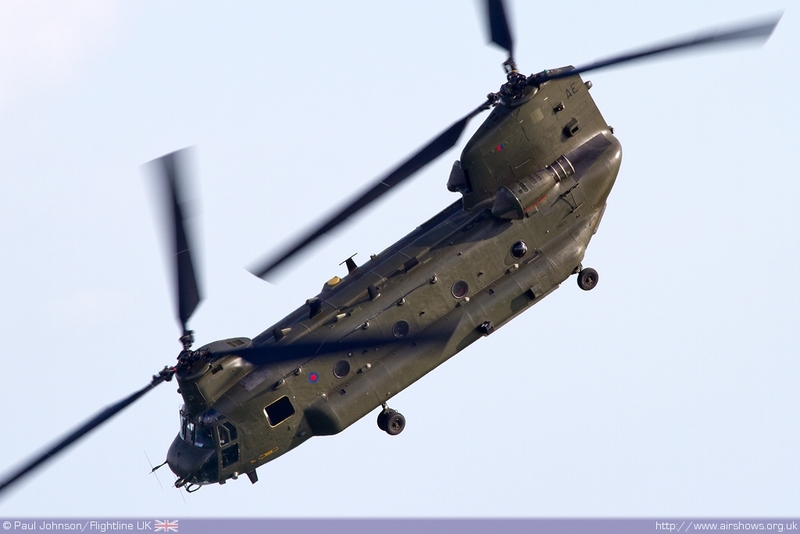 A rare treat for Bournemouth was the inclusion of the amazing Chinook HC2 display which was making a welcome return to the Air Festival after a long absence. 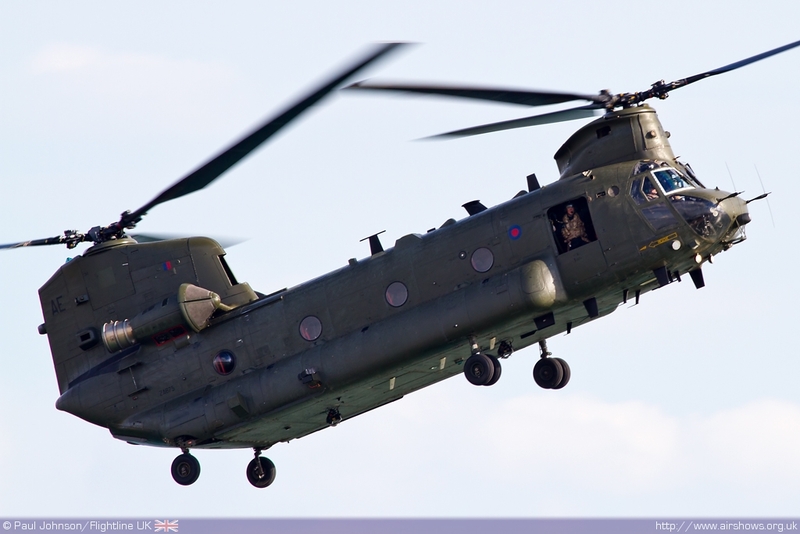 Thursday’s flying display saw another RAF helicopter with a flypast from a Merlin HC3 from RAF Benson. 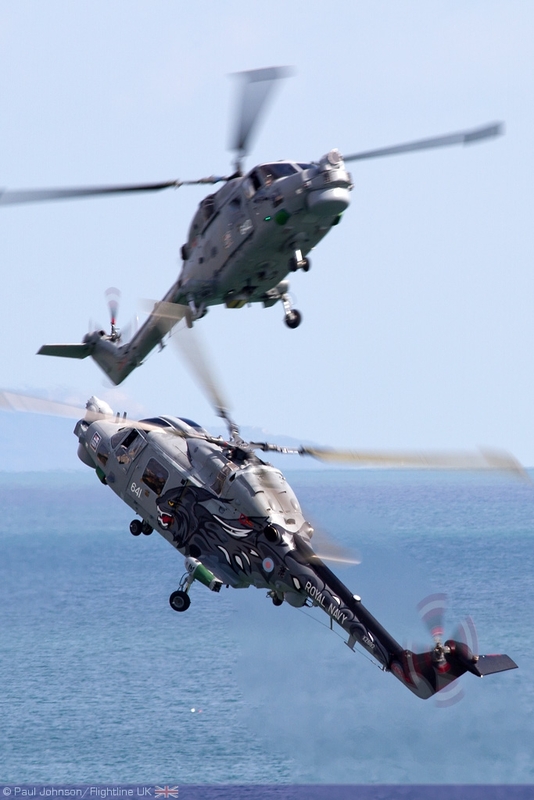 Further rotary action came from Army and Navy Lynx helicopters. 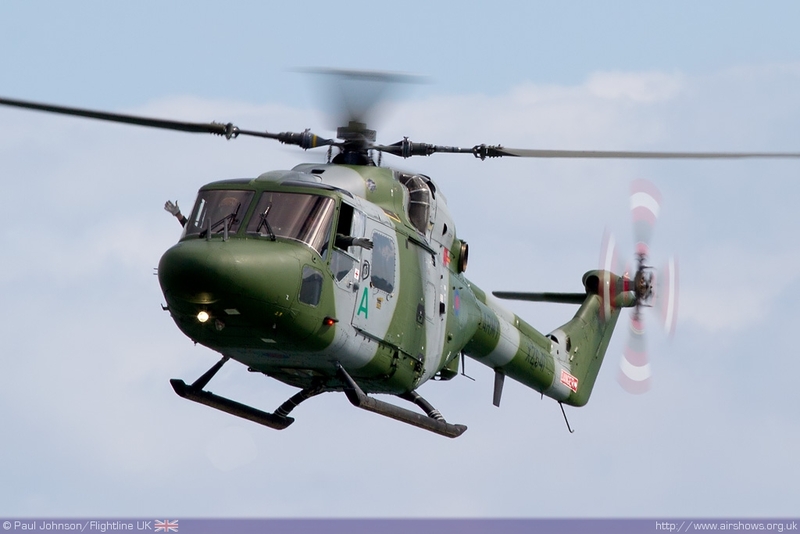 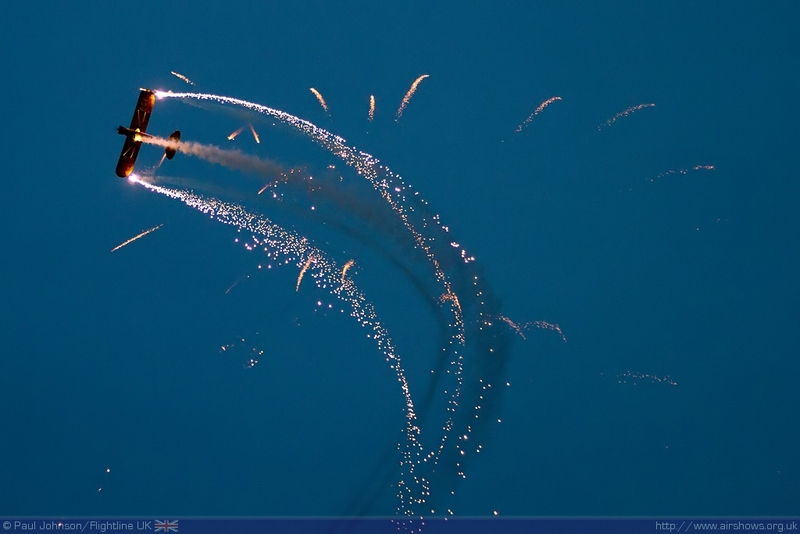 The Lynx AH7 from the Army is put through an aerobatic sequence of loops, rolls and backflips on all four days. 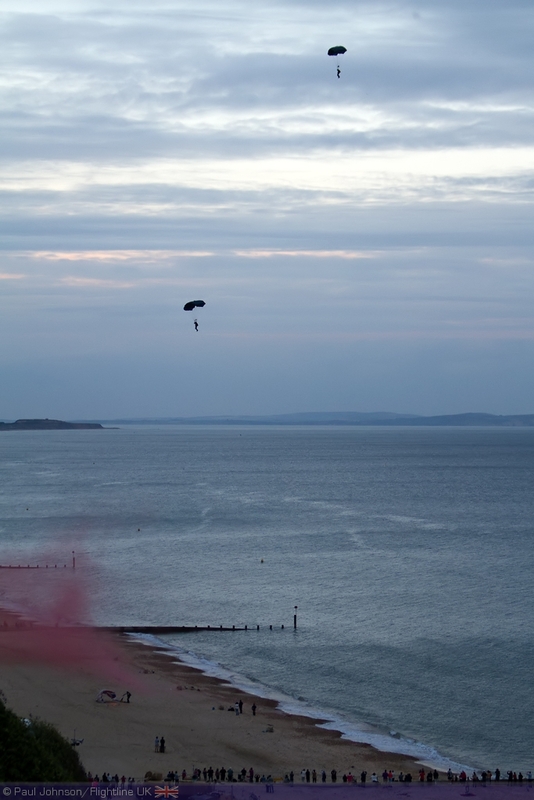 The Tigers Parachute Display Team boosted the Army presence at the Air Festival dropping on to the beaches as well as into the water! 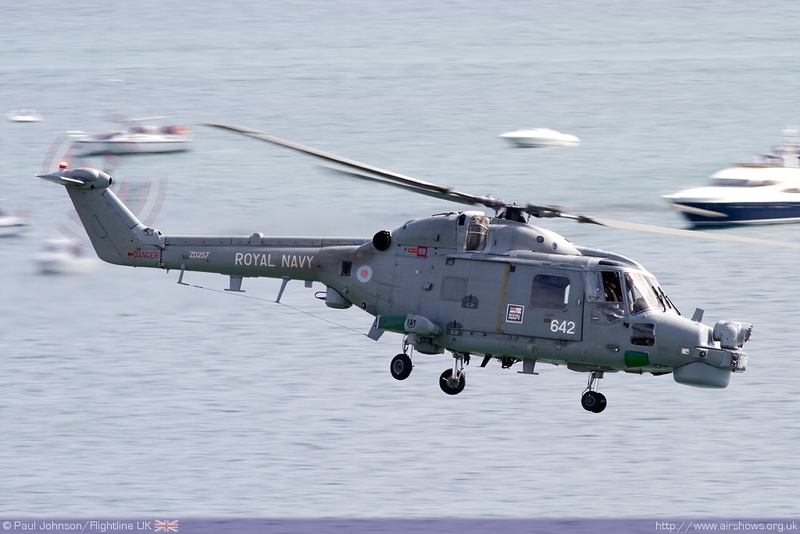 The only Royal Navy aerial participation was the Black Cats with their pair of Lynx HMA8 aircraft. 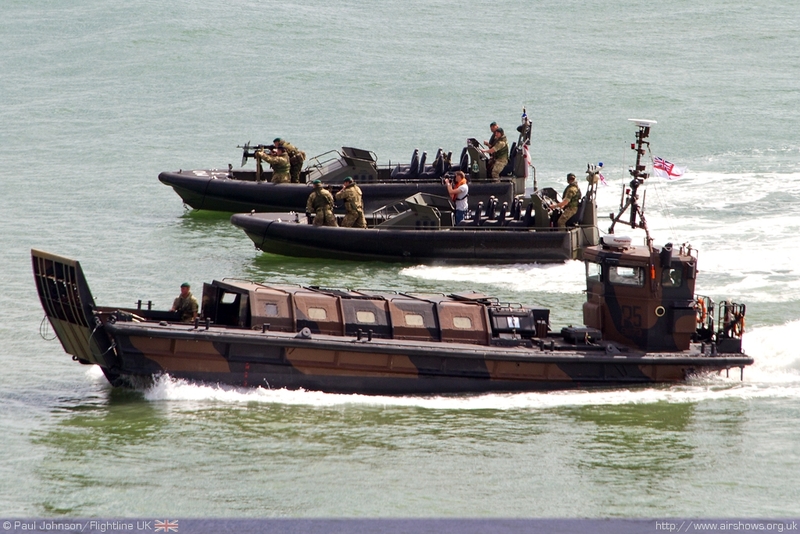 However one of the unique elements to Bournemouth Air Festival is a beach assault by the Royal Marines supported by a number of ships from the fleet. 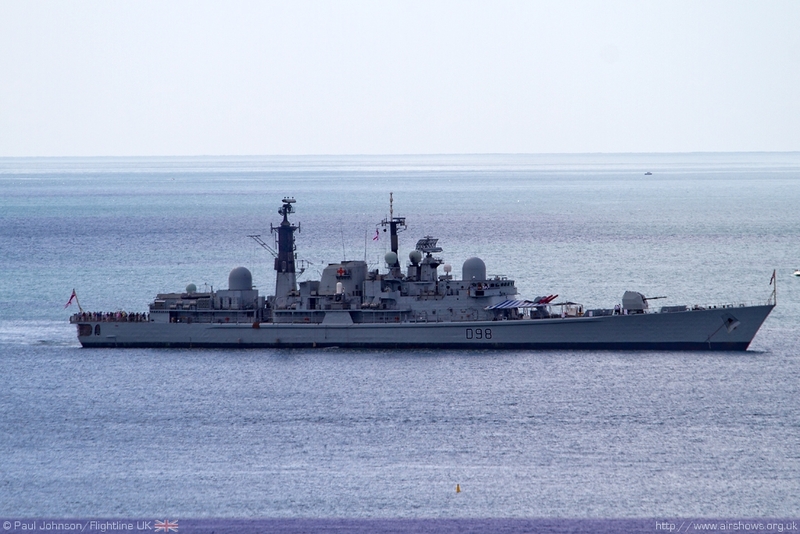 2012 saw perhaps the biggest collection yet with RFA Mounts Bay, HMS Severn and probably the last appearance by the destroyer HMS York. 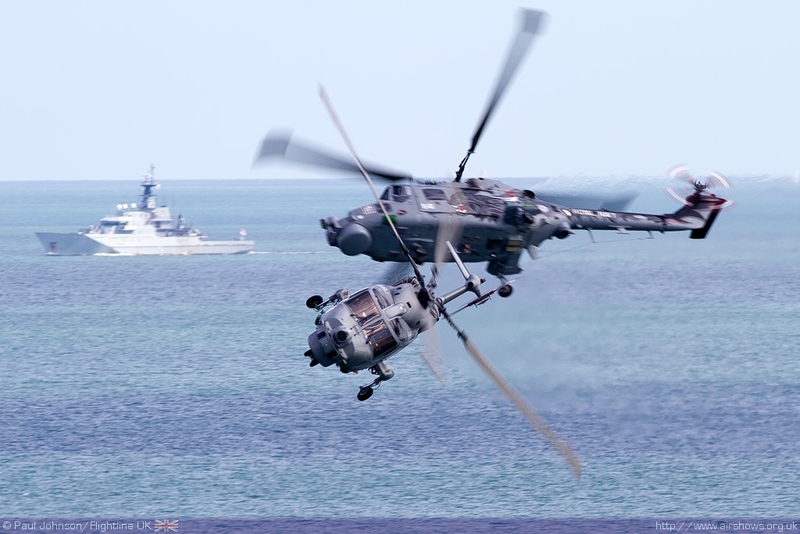 Supporting the military participation is always a great mix of civilian displays. 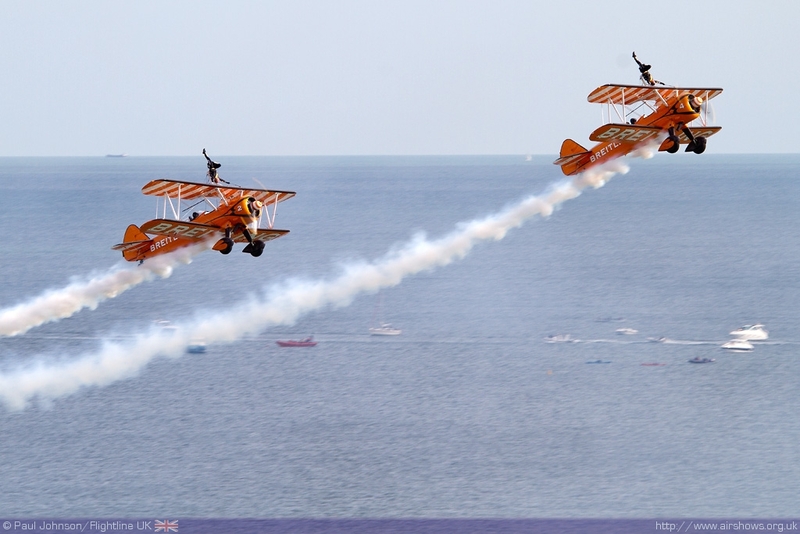 The Breitling Wingwalkers are always a Bournemouth favourite appearing on all four days this year. 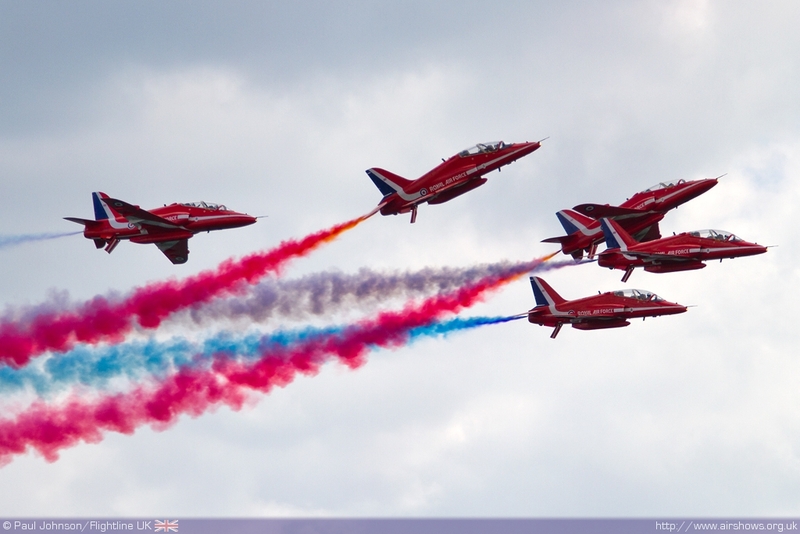 They were joined by the Blades at the weekend who added their excellent precision display to the mix. 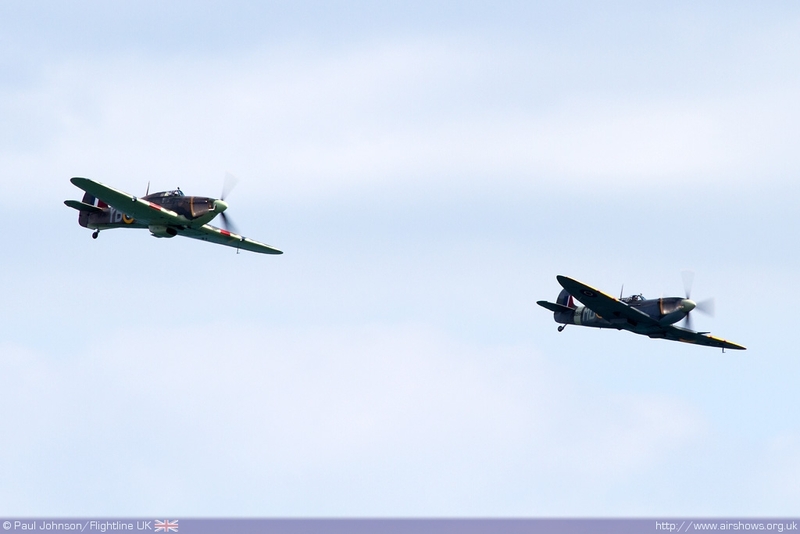 There was some superb warbird action at this year’s Air Festival. 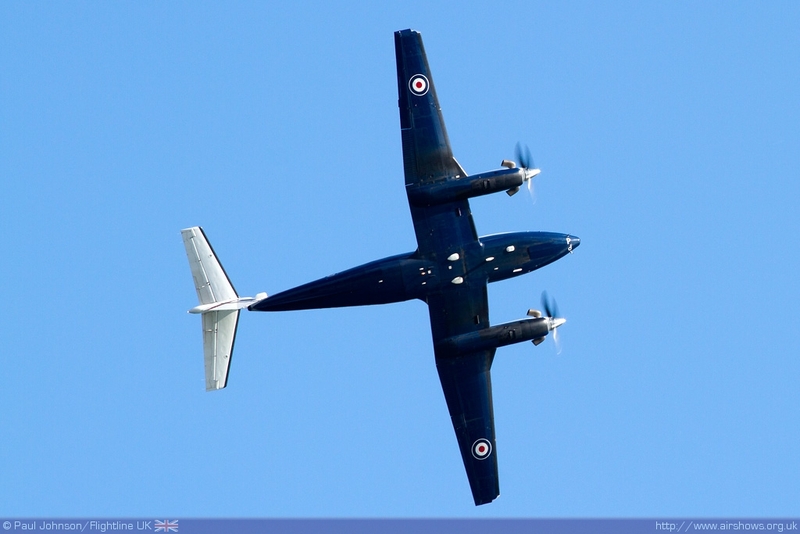 The weekend saw a unique re-enactment of a Second World War air sea rescue involving the Consolidated PBY-5A Catalina, ACRo’s Hispano HA-1112M1L Buchon (playing the role of a Luftwaffe Bf109) and the OFMC pair of Spitfire IX MH434 and P-51D Mustang Ferocious Frankie. 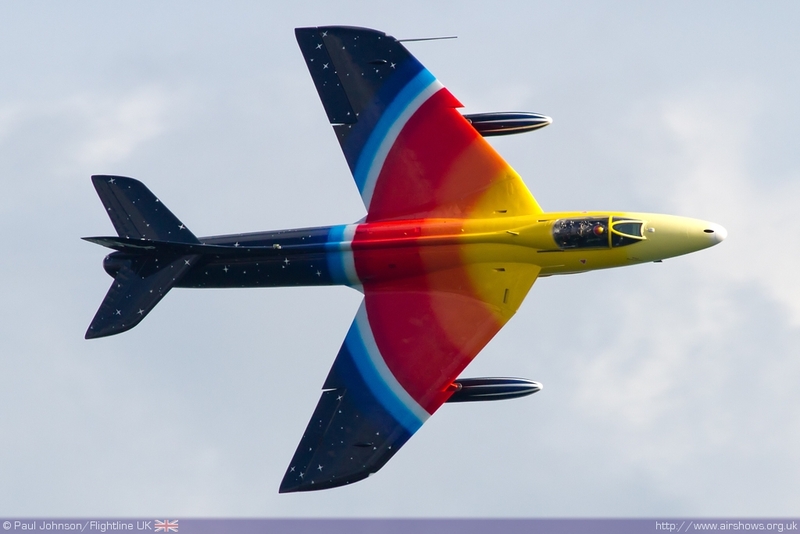 Classic Jets featured well in the Air Festival line-up. 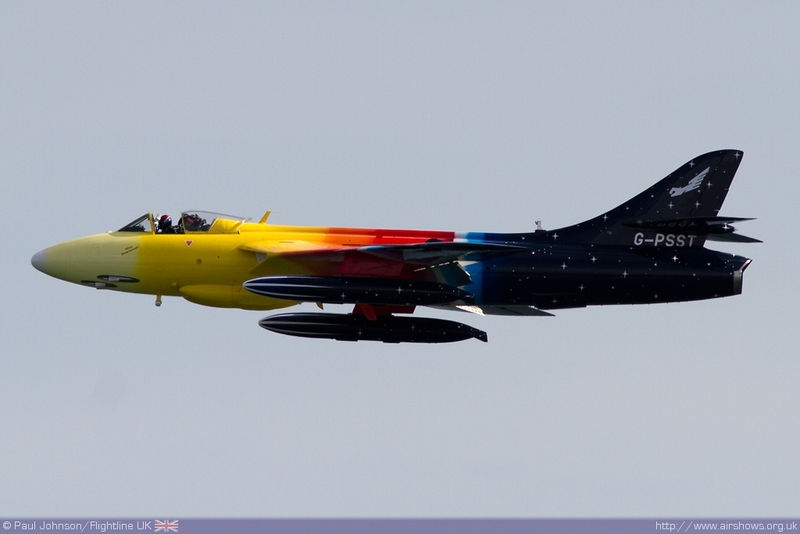 Hawker Hunter F58a Miss Demeanour has been a regular participant at Bournemouth, but for 2012 it was flown by former Red 1 Ben Murphy. 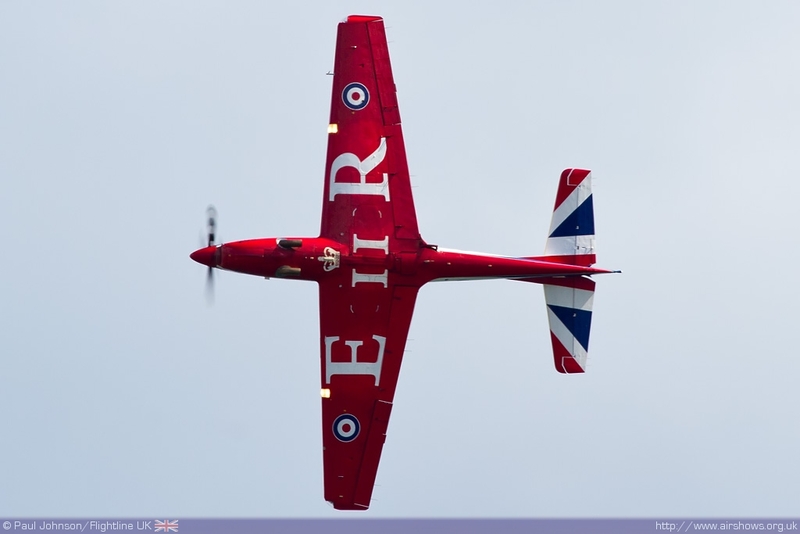 Ben was making his display debut in the Hunter and put on a great display which contained all the usual ‘Miss Demeanour’ favourites including the trademark Canopy-open pass. 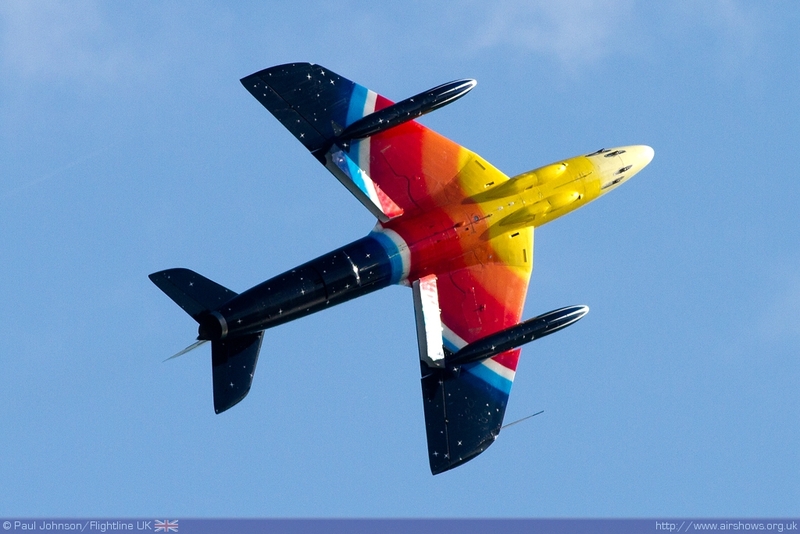 A late addition for the weekend flying displays was the Classic Aircraft Trusts de Havilland Venom FB50 flown by Jon Corley which was a nice surprise. 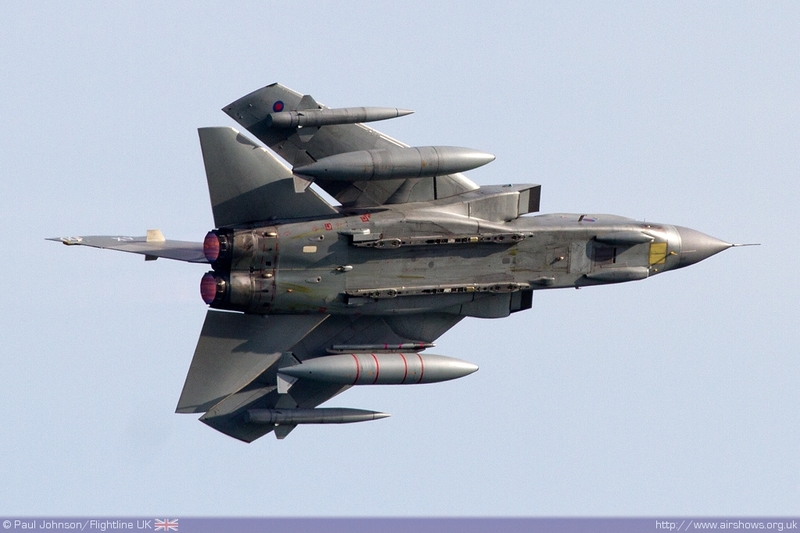 Completing the line-up of classic jets was the Avro Vulcan XH558. 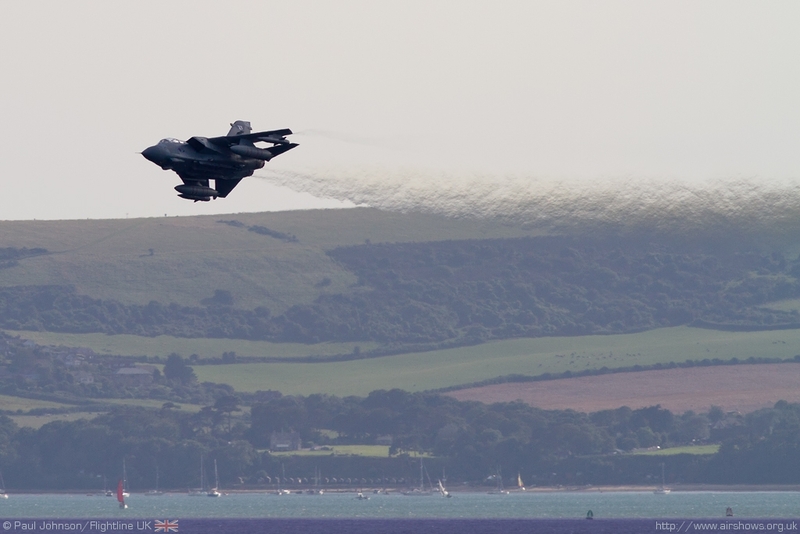 After some mixed fortunes at Bournemouth, it was good to see the jet make all of its scheduled appearances. 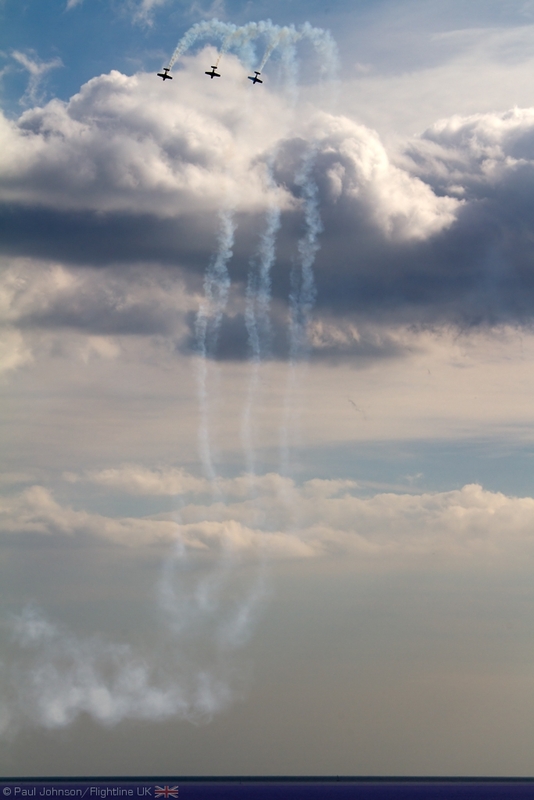 However, for me the highlight of the Bournemouth Air Festival weekend are the dusk ‘Night Air’ displays on Thursday and Friday. 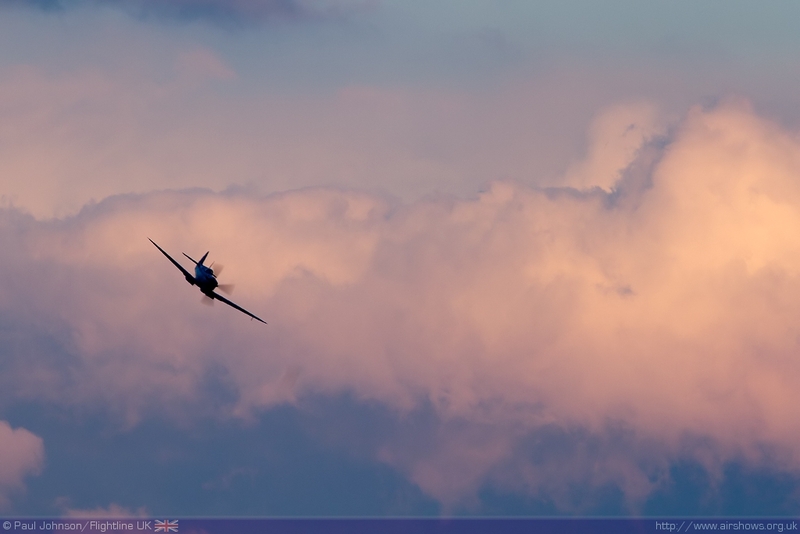 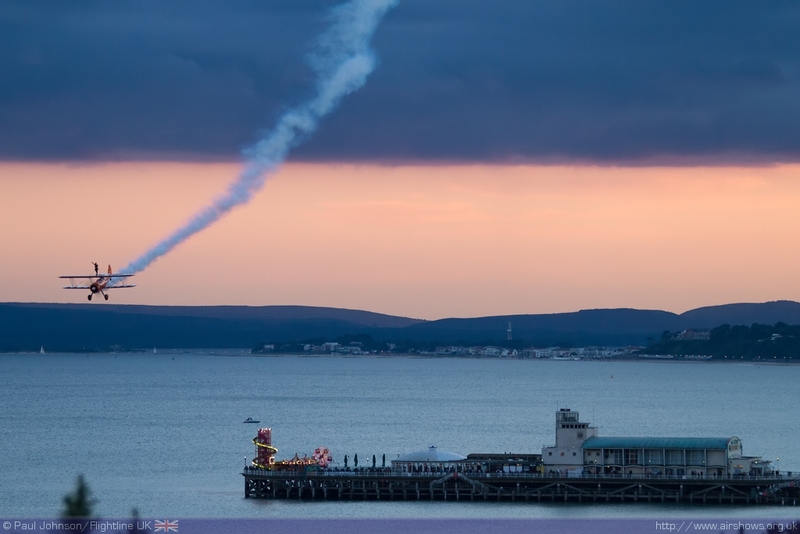 The backdrop that Bournemouth offers seems to suit flying displays at sunset more than any other venue. 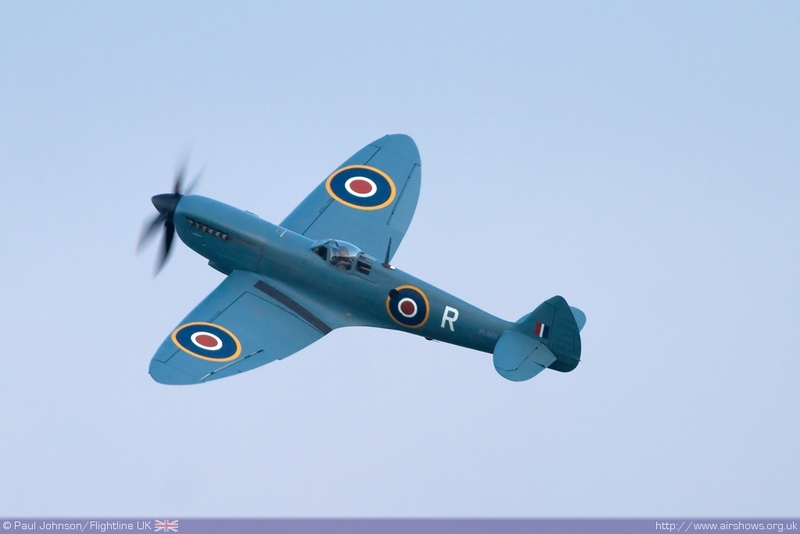 As the sun set the flying got underway with Peter Teichman flying a wonderful aerobatic routine in his Spitfire PRXI set to music from the film Battle of Britain. 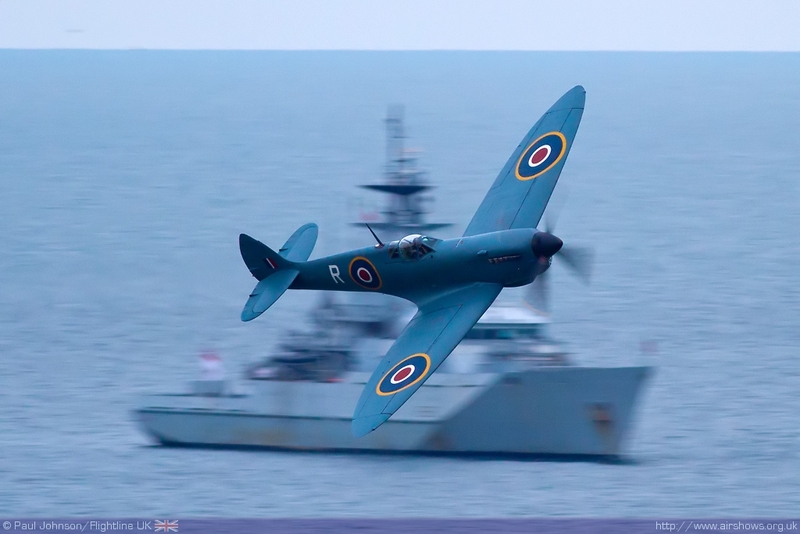 There are few more evocative sights than a Spitfire displaying on the South Coast with the cliffs of the Isle of Wight and the Needles in the background. 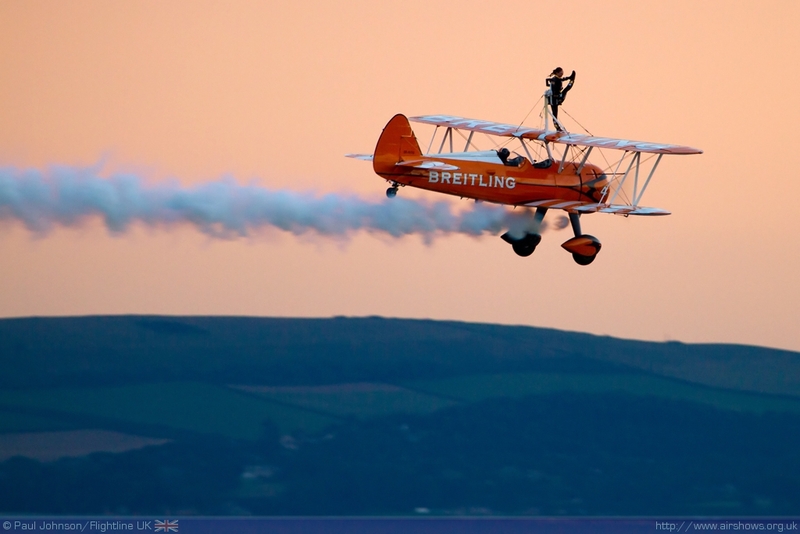 Thursday’s Night Air display saw a solo display from Dave Barrell and Danielle Hughes from the Breitling Wingwalkers. 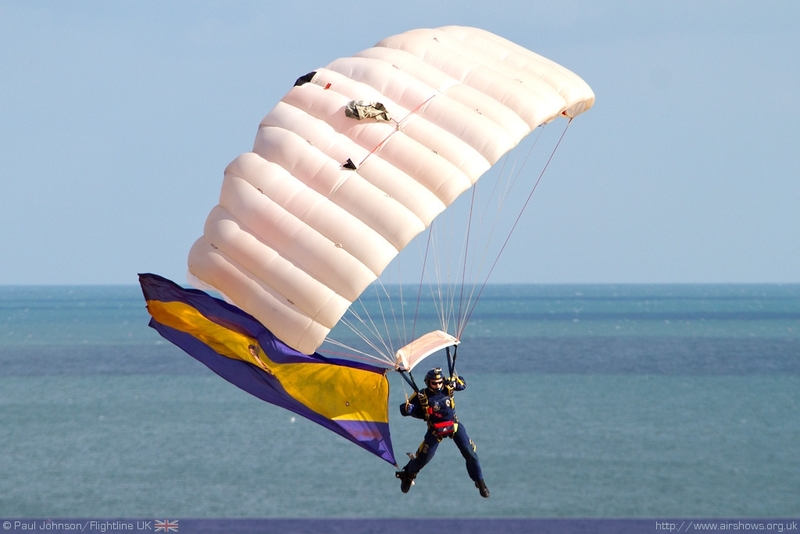 On Friday their place was taken by the Tigers Parachute Display Team jumped into Bournemouth wearing glow-sticks on their coveralls. 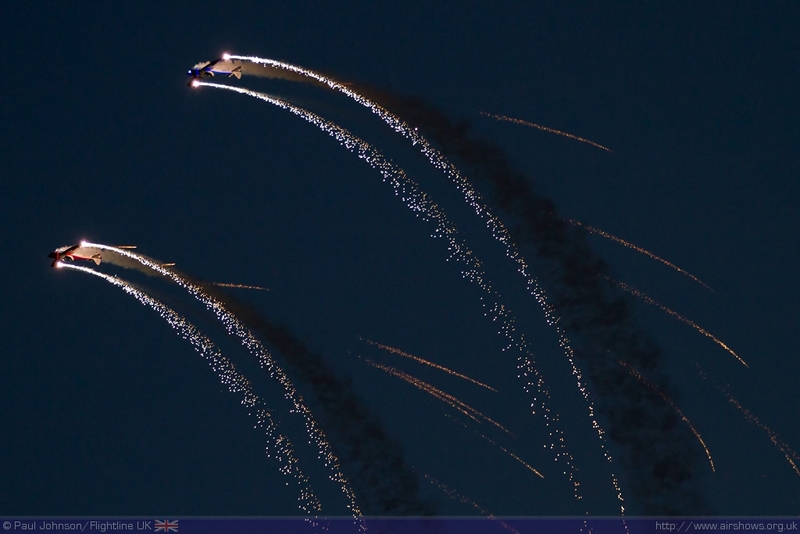 The finale to the Night Air displays was two acts specializing in pyrotechnic flying displays. 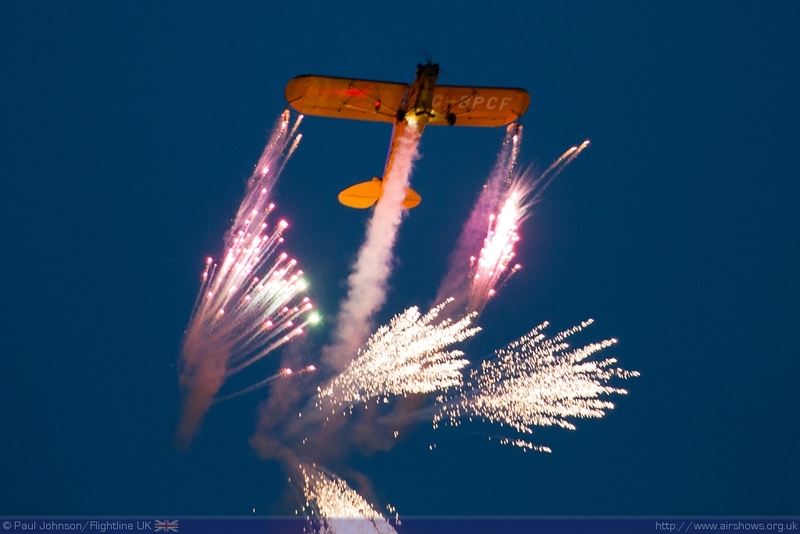 Brendan O’Brien has modified his Piper J3 Cub with all manner of lighting effects and pyrotechnic effects which certainly add a unique twist to his flying display. 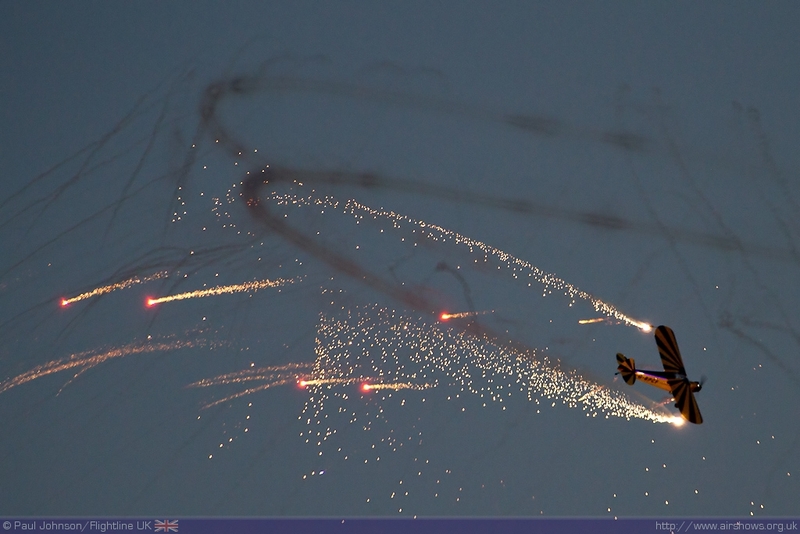 Closing the displays were the pair of Twisters of the SWIP Team. 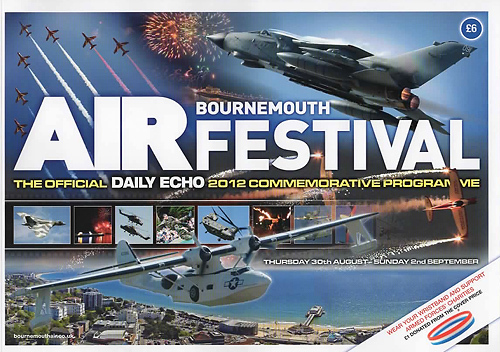 The team are clearly very popular in Bournemouth appearing on the advertising billboards around the town as well featuring heavily in the Daily Echo special editions published during the Air Festival. 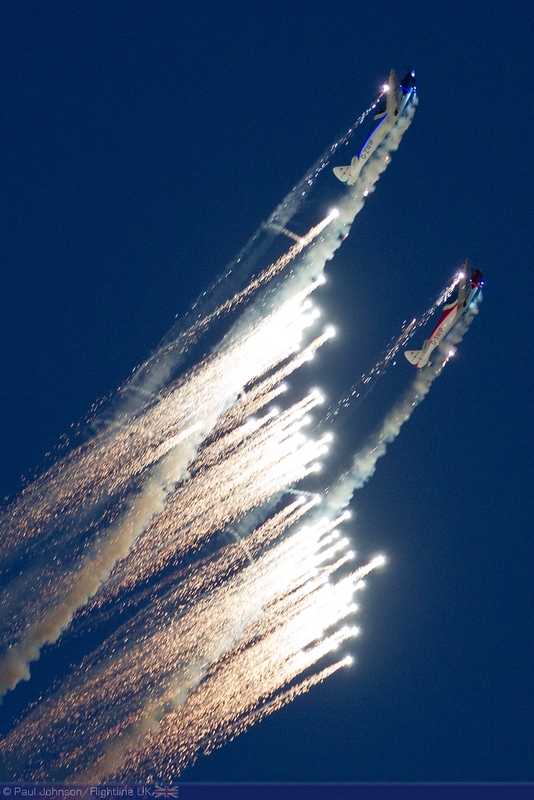 Pete Wells and Jon Gowdy did not disappoint the crowds that gathered for Night Air drawing many ‘oooo-s’ and ‘arrrrr-s’ during their display. 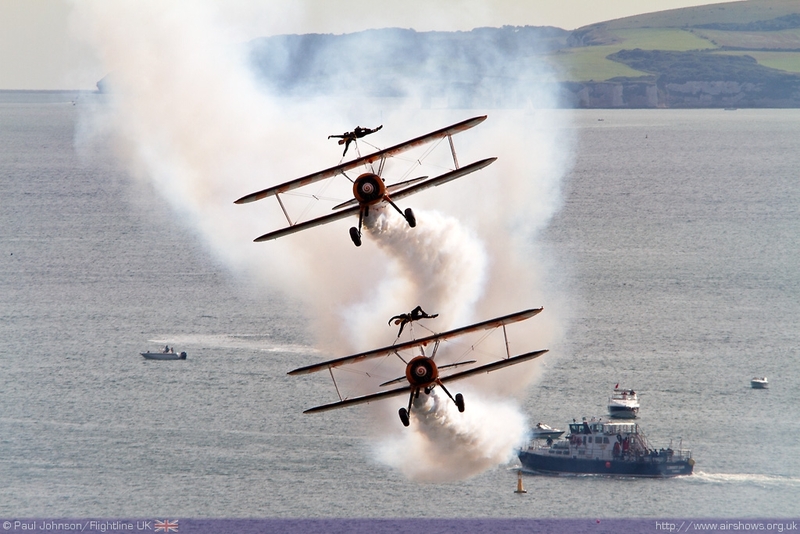 Bournemouth Air Festival is very much the complete seafront airshow offering something of everyone in superb surroundings, whether it be in the air or on the ground. 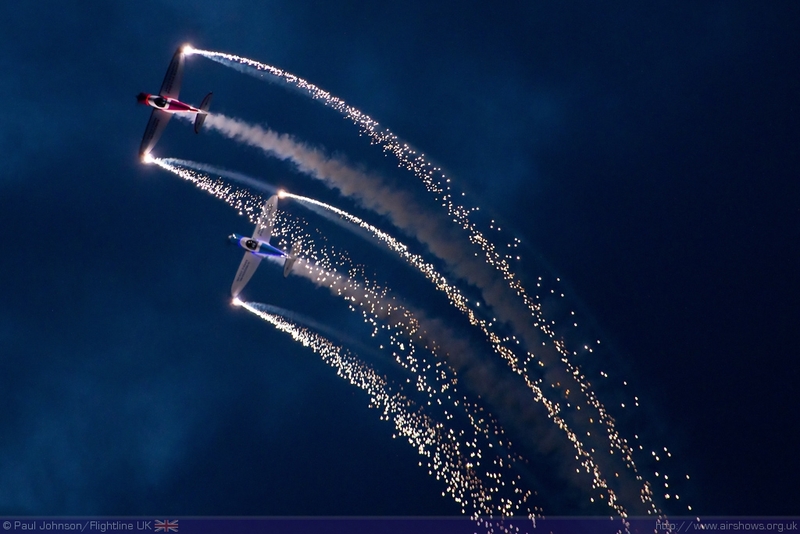 We cannot wait to see what else the team can up with for Air Festival 2013.